90th Birthday Party Ideas - 100+ Ideas for a Memorable 90th Birthday Celebration! 90th Birthday Ideas: Everything you need for a memorable celebration! Disclosure: This post may contain affiliate links. What does that mean? If you've been tapped (or volunteered) to host a 90th birthday party, one of the first things you'll need to do is to decide upon a theme. Once you've decided the party theme or colors, you can order the party supplies and decorations. Read on to find some of my top 90th birthday party theme ideas. The absolute easiest way to choose a party theme is to simply purchase all the party supplies you need in an existing design. There are a few birthday party designs that are specifically made for the 90th birthday (such as the Celebrate 90! theme in the picture). Otherwise you can choose any standard birthday party design in the colors and style that you like. 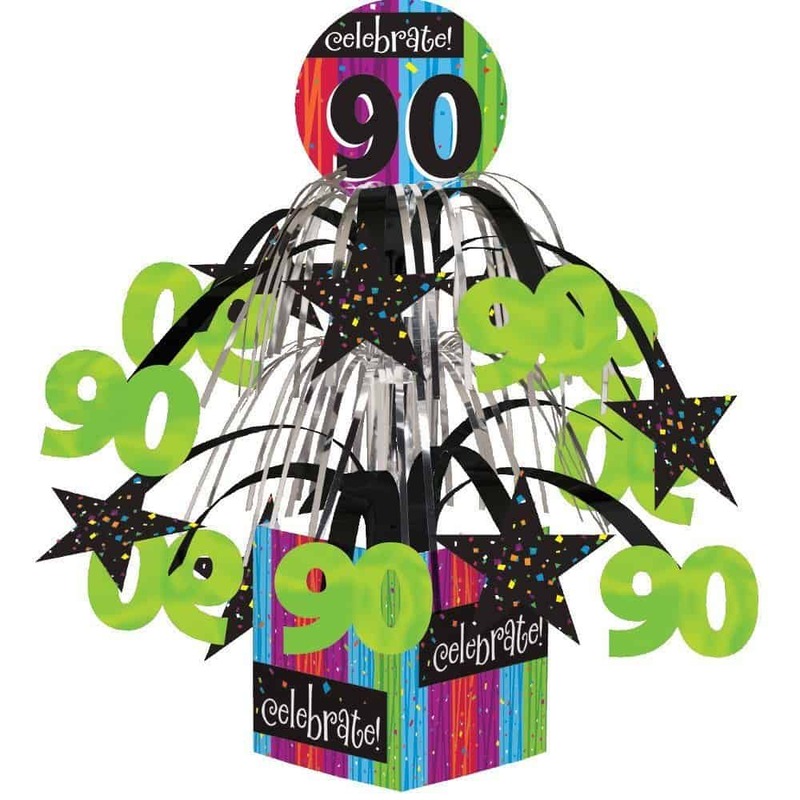 If you choose a standard birthday party design that doesn't feature the number 90, then you could always emphasize that it's a 90th birthday party by adding balloons in the shape of the number "90" or a banner that says Happy 90th Birthday. 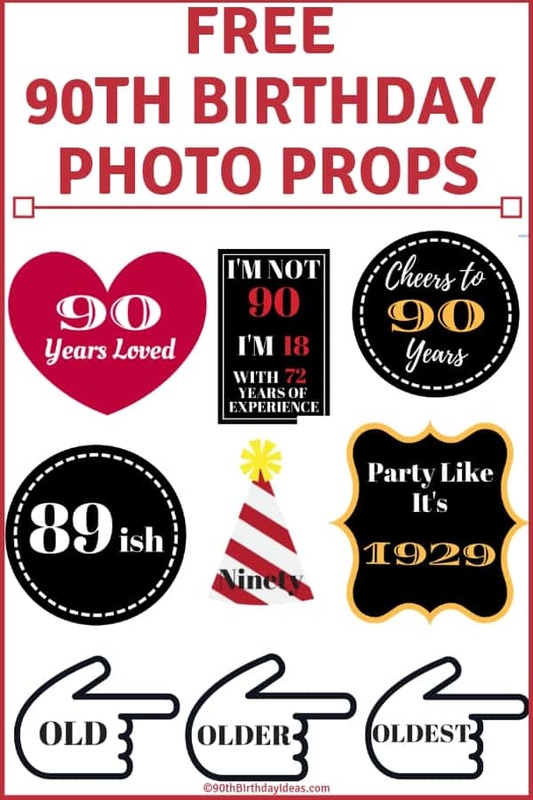 You can also purchase party supplies that can be personalized especially for a 90th birthday. There just a little more expensive than standard party supplies, but you really get a fabulous bang for the buck. 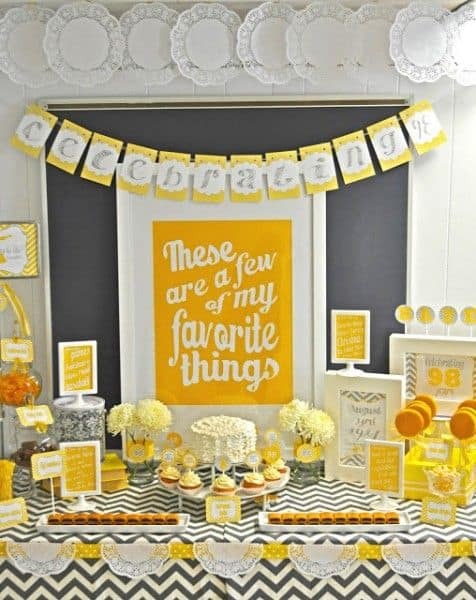 Personalized party supplies look like you went to a lot of trouble for the party, and make a huge impression on the guests and the birthday celebrant. Amazon offers a full line of these handsome Aged to Perfection party supplies pictured above - perfect for a manly party! 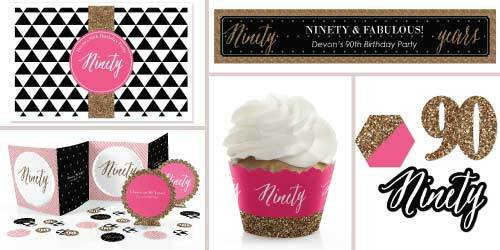 They also offer a lovely Chic Pink, Black and Gold 90th birthday theme that is so much fun for women - it's a cinch to put together an impressive party! Another easy way to choose a theme is to simply use the guest of honor's favorite colors. Unlike anniversaries, there are no official 90th birthday colors, so you're free to choose any color scheme you prefer. Sticking with 2 or 3 colors makes it easy to coordinate decorations and paper goods. If you're the creative sort, you may wish to honor the birthday man or woman by planning a party that celebrates and reviews their entire life. These parties generally feature a lot of photos and personal history. Parties like this take a little (or a lot) of extra time to prepare - however they are truly appreciated! And you'll probably enjoy the time you spend researching their history and going through old family photos. 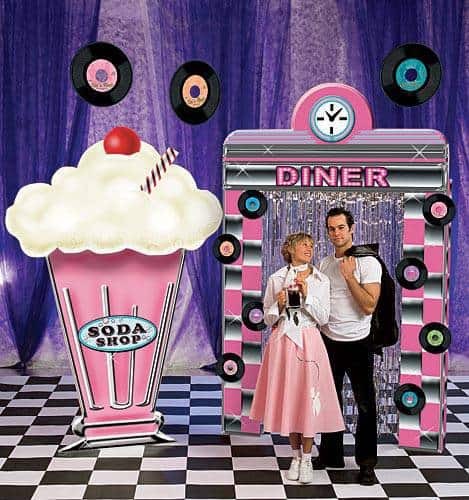 You can also choose to have a themed party that celebrates the guest of honor's interests. You can then add "90" balloons or a banner that highlights the age 90 to emphasize that it's a milestone party. 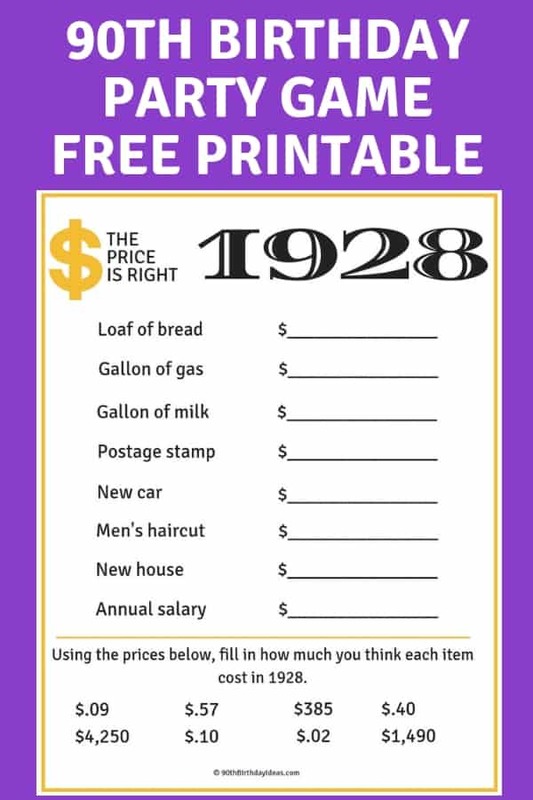 90th Birthday Party Games & Activities - Free Printables! Why not plan a few fun party games or activities that your guests and the honoree can enjoy? 1. Slideshow - A 90th birthday is all about looking back. Have a slideshow of the guest of honor's life. It's pretty easy to set one up - if you have any problems, you can probably tap a friendly teenager or young adult to help. 2. Home Movie - You may also want to show a home movie of the honoree's life. Transfer old pictures and home movies to a dvd (there are plenty of services that will do this for you). Put a big movie screen up, and serve popcorn, sodas and candy just like they do at a real movie theater. 3. 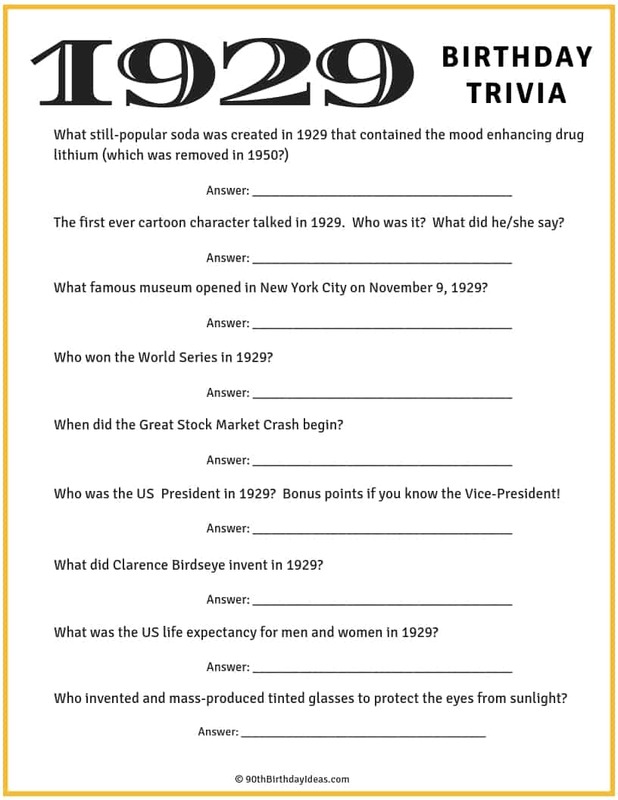 Play Trivia Games - A 90th birthday is all about looking back, so play trivia games that get everyone talking about how much everything's changed in 90 years! 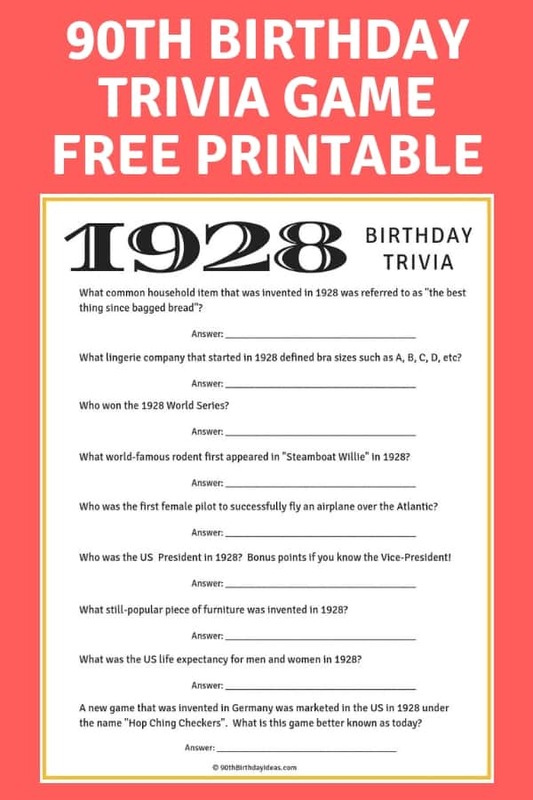 I've made 2 free trivia game printables that you can download. Just click on the picture, and the game will open in a new window ready for you to print. 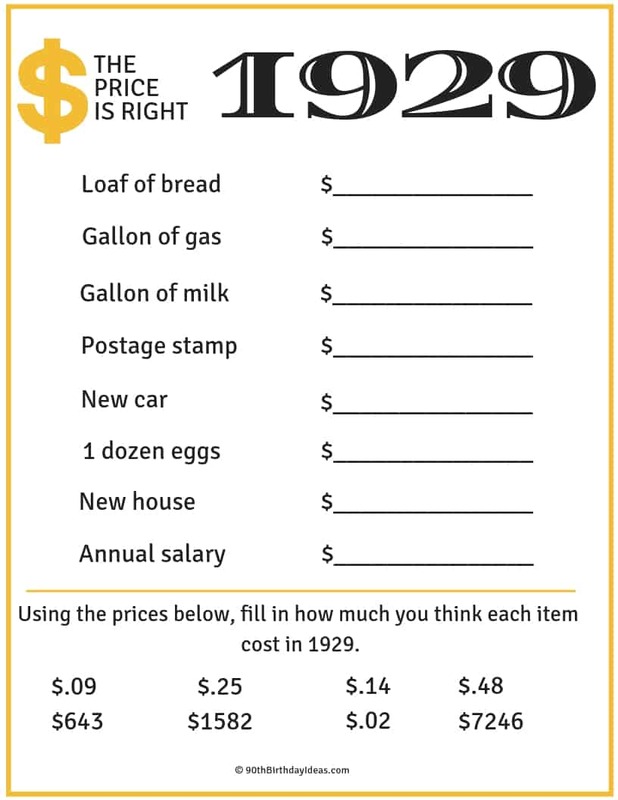 Save paper - just print one copy of the answers! 4. Photo Booth - You'll want to capture loads of great pictures of the big celebration, and a photo booth is a fun way to spark inspiration. You're sure to get loads of funny pictures! If you have the budget, splurge on a rented photo booth. Otherwise, you can easily DIY one. Don't forget props! You can either order online, or print the ones pictured below on your home printer. Click on the image and the photo props will open in a new window. Print them on heavy card stock and attach them to a stick or chopstick. 90th Birthday Ideas is a participant in the Amazon Services LLC Associates Program, an affiliate advertising program designed to provide a means for sites to earn advertising fees by advertising and linking to Amazon.com.